Having lived in China for nearly 10 years, I kept hearing about this vibrant seaside town in south Liaoning Province, Dalian, that my friends kept saying “you absolutely MUST visit!”. The parks, the green hills, the beautiful coastline, the grand Russian and Japanese architecture, the past colonial history and the contemporary development away from heavy industry, the fact that it was voted China’s most livable city and of course the delicious seafood were all enticing reasons to go. However, I never had found quite the right time to get there. When I finally got the opportunity to visit this beautiful city with The Hutong this past fall, however, I was blown away by just how fascinating Dalian really is! 1. The Hutong Go Game – Dalian was the PERFECT setting to try out our newest in teambuilding programming: The Go Game. 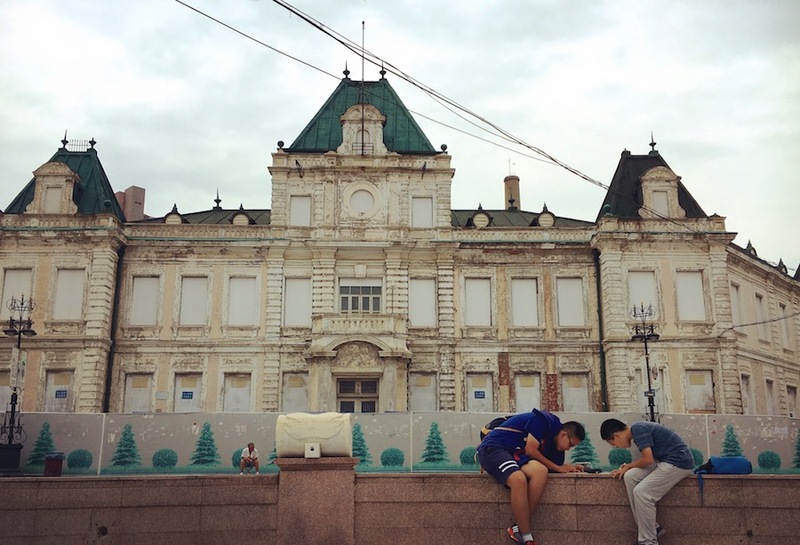 Working together in small teams, we explored all of what downtown Dalian had to offer. 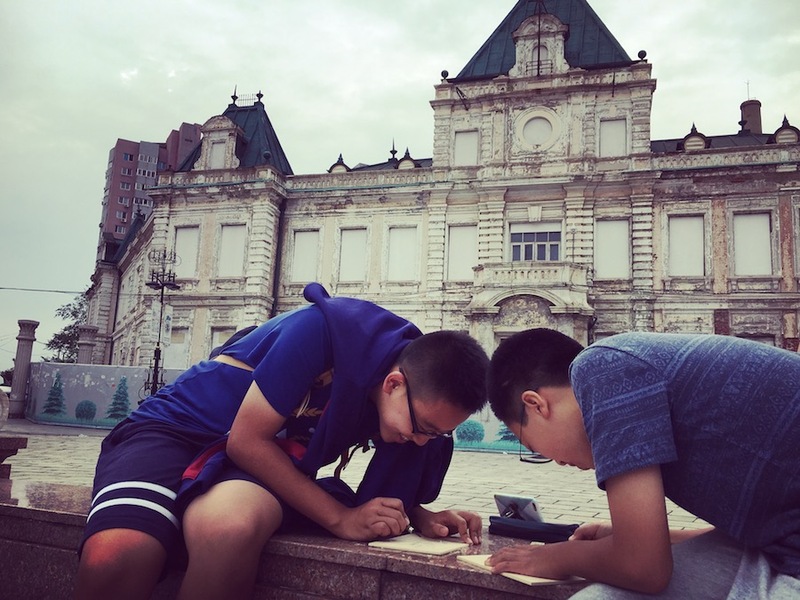 Whether it was solving Russian riddles, eating seafood snacks, or decoding Japanese architecture, The Go Game offered the perfect opportunity to delve into and discover Dalian! 2. Visiting the hard-hitting former Russian and Japanese Prison at Lvshun. Originally built by Russian occupiers around the turn of the century, the prison was later expanded into a work camp by the Japanese, who used the prison to house dissidents in the first half of the 20th century. 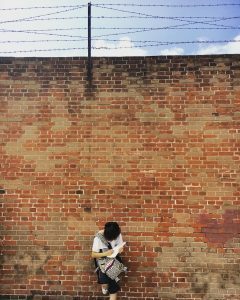 Today, the prison is used as a memorial against Japanese war crimes during the era of occupation. Only recently opened to foreigners, the prison is also considered one of China’s major national historical relics. 4. 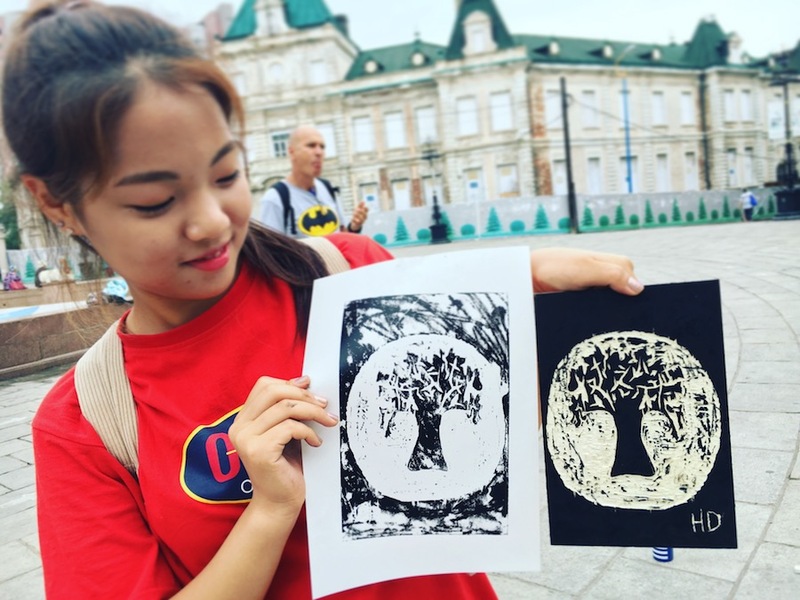 Working with local experts and trying our hands at wood black carving in the Russian Quarter. 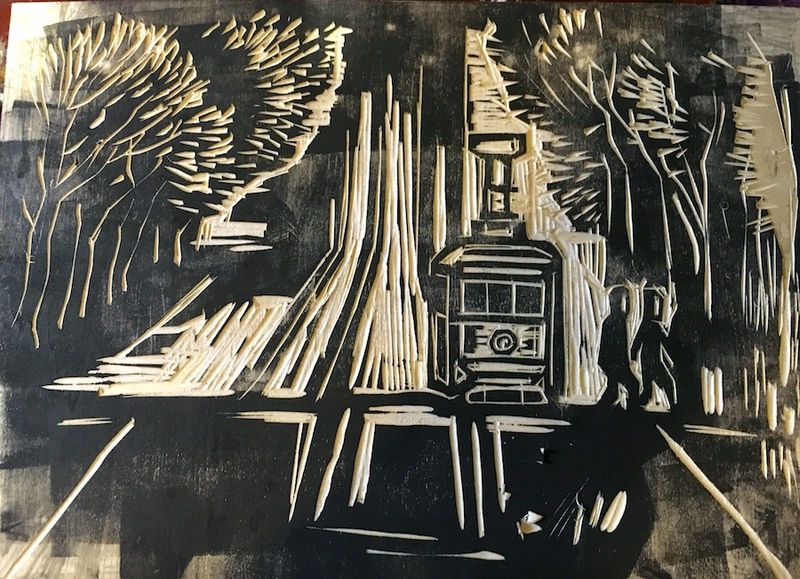 And discovering that much like other urban areas in China, Dalian has a thriving contemporary art scene. 5. 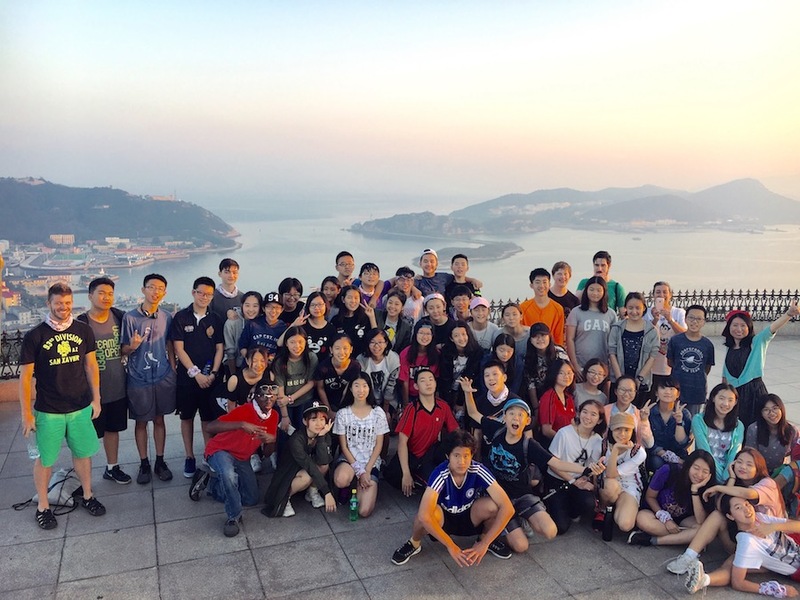 Dancing and watching the sunset atop Baiyuanshan, the famous hill overlooking historical Port Arthur. 6. Working on learning and collecting heritage in the ruins of Donguan Street, a former neighborhood that is (unfortunately) currently in the process of being torn down. 7. Hanging with our incredibly knowledgable and amazing local partners, Mody and Lina! 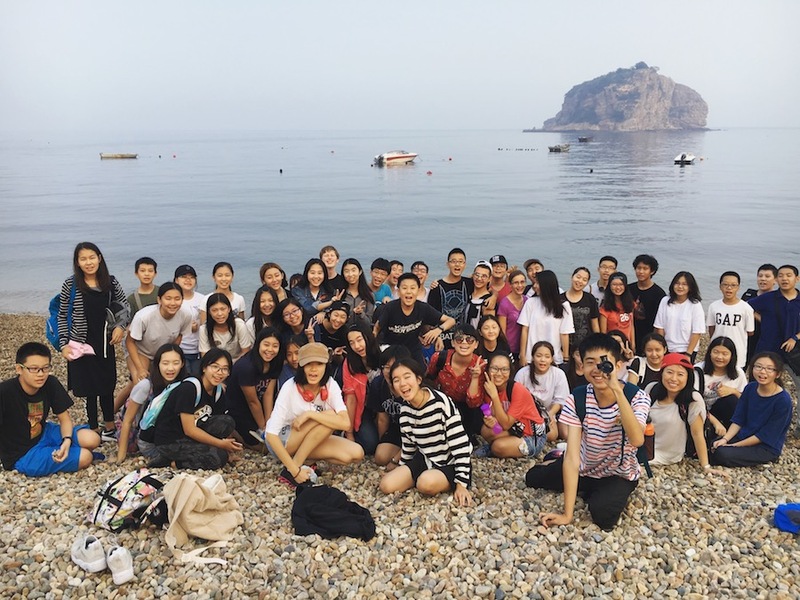 Their passion for Dalian helped to make the entire experience a great success!